Are you earning income from your blog? 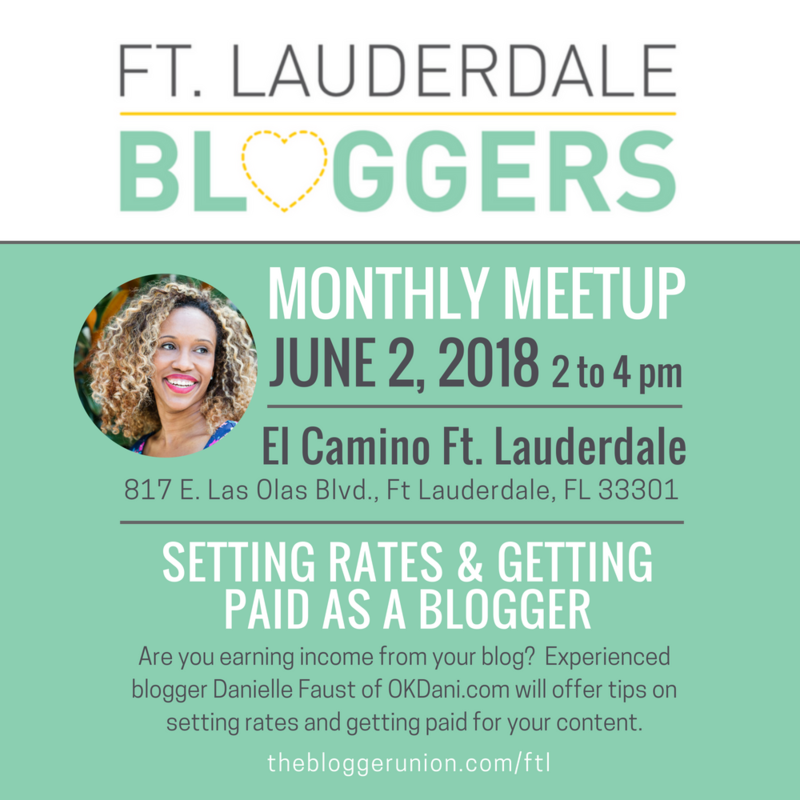 Join us to hear how to set rates and get paid as a blogger and influencer. Experienced blogger Danielle Faust of OKDani.com will offer tips on setting rates and earning income for your content. Danielle Faust is an intuitive life and wellness coach and freelance writer based in South Florida. She candidly creates written and video content for OKDani.com, a positive lifestyle blog focused on family, wellness and travel. A mom of two, she also co-hosts the Lets Be Best Friends show and founded the HappyBlackMoms.com digital health and wellness conference. Find her on YouTube, Instagram and Facebook. Thank you to our sponsor and host El Camino Mezcal & Tequila Bar of Ft. Lauderdale. Interested in sponsoring the Ft Lauderdale Bloggers? Contact us!